I am a professional Workshop/Fleet /Transport manager and Training specialist having been in this career for the last 26 years. 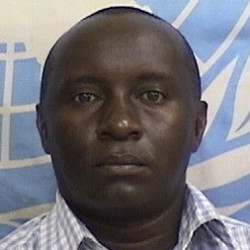 I have specifically been involved in Fleet of vehicles and equipment maintenance/management/training in Kenya, South Sudan and Liberia I am a holder of Bachelor’s degree in Business administration and University Diploma in Mechanical Engineering and a Certificate of Mechanical Engineering for Transportation.I attended Osaka Sangyo University (Japan).Jomo Kenyatta university and Kenya Methodist university.I am a certified member of institute of engineering technologists and technicians. PREVIOUSLY, I have been a Senior Training Technician at Jomo Kenyatta University A workshop supervisor at World vision International ,a transport officer at International Rescue Committee,a Workshop Foreman/Senior Instructor at GTZ-IS /UN WFP,The Transport manager at The Carter Center-South, the fleet manager at the World Vision International -South Sudan and a Transport officer with United Nation Mission in Liberia as a team member with responsibilities for managing and maintenance of a large fleet of vehicles PRESENTLY, I am a Managing and Lead Consultant at Vogue Auto Consultant Ltd Kenya mainly consulting for government and corporate industries in Kenya and Africa .We are also involved in Fleet training and Management consultancy for UN and NGOs.